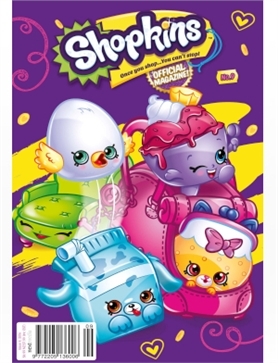 Shopkins #09 - MyMagazines - Subscribe online and save. There is always something fun and exciting happening in Shopville and the best way to keep in the loop is with the latest issue of Shopkins Magazine! This month discover how well you know the Shoppies, Meet the adorable Miss Pressy and make yummy carrot cake! Plus loads of activities, puzzles and posters! Yay, so much fun!